Remember, the Pied Piper nursery rhyme? With the arrival of 2014 accompanying AAP govt in the national capital,the battle of 2014 General Elections is becoming intense and the results are looking unpredictable,yet again. In between, it seemed,BJP led by Narendra Modi with the mantra of -DEVELOPMENT would make it to the power.If not a clean sweep by BJP, surely, the NDA , as a whole, may have formed its Govt in Centre.But,to the astonishment of many political analysts ,major political parties and the common man, Aam Aadmi Party, led by Arvind Kejriwal did immensely well in the Delhi Polls and although they managed 28 seats out of 70,they ended up making their govt in Delhi with the support of Congress. BJP chose to be in the opposition with 31 seats. However, the results in Delhi gave AAP the confidence to think national. They have chosen 10 states and are aiming 100 seats for the upcoming General Elections. Now,the present scenario assures that those who are fed up of both the BJP and Congress but chose BJP over Congress, may opt for AAP . Moreover,AAP has managed to wake up those sections of voters who considered voting a waste of time.Those who prefer keeping themselves away from politics,all in all,as they felt their votes would hardly make a difference to clean the corrupt politics of India. 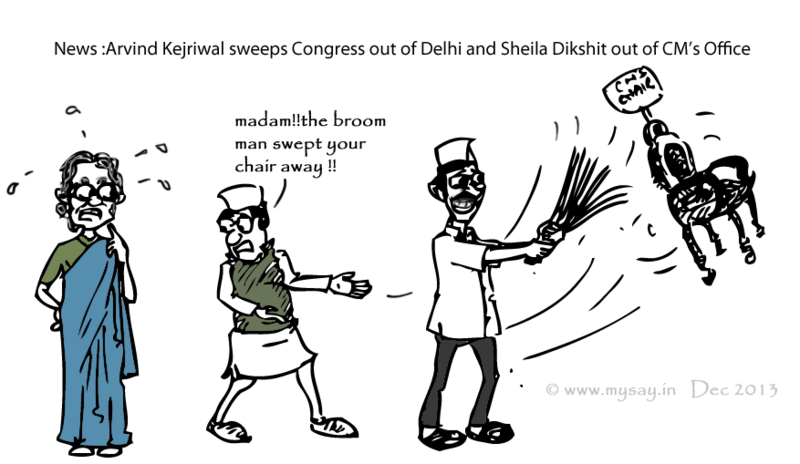 Kejriwal's broom sweeps Sheila away? 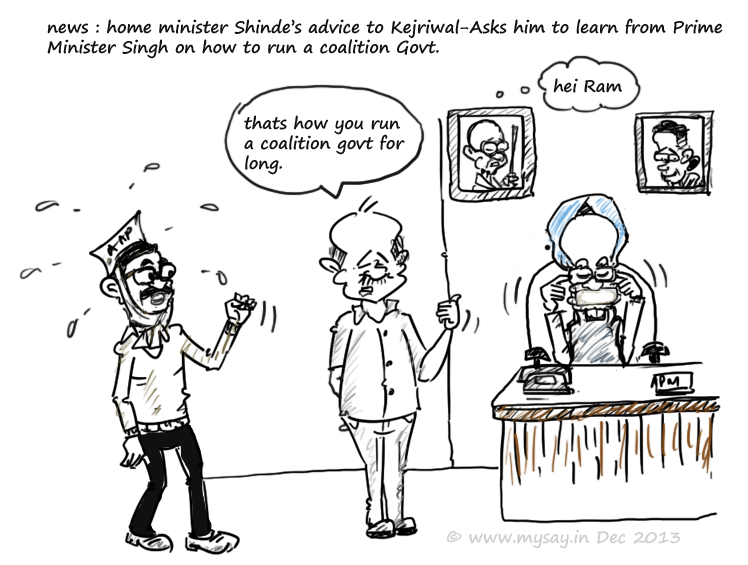 AAP , the new political party in the nation and Arvind Kejriwal , the activist turned politician has given Sheila Dikshit and Congress great defeat in Delhi Assembly Polls and has come out as a strong contender for both the Congress and BJP. 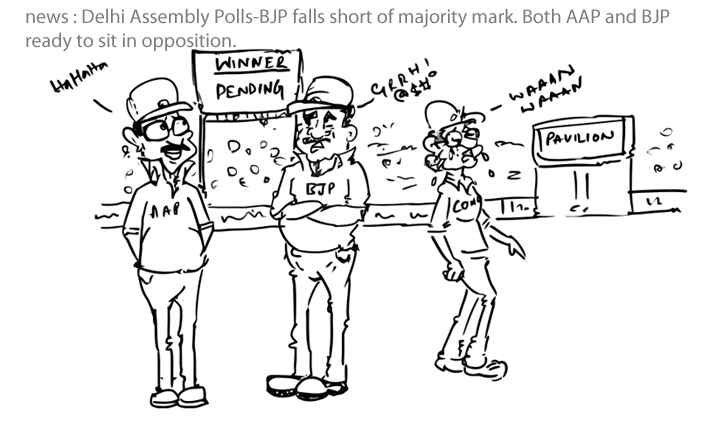 Interestingly, out of the 70 seats , AAP , the first timer in politics, has won 28 seats. 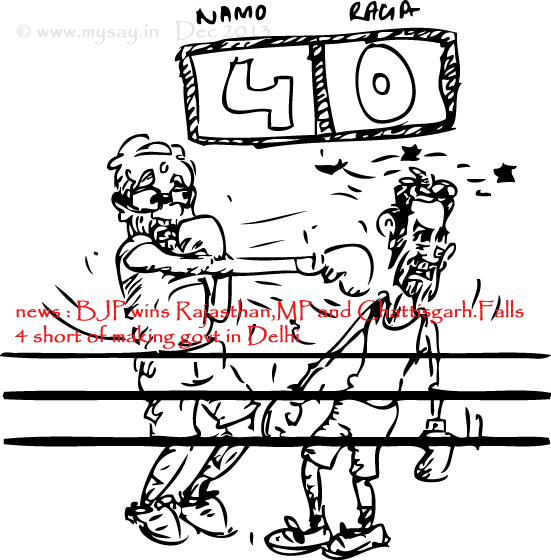 BJP has managed 32 seats falling 4 short of getting the throne of Delhi. Congress has failed to manage even two figures. Sheila Dikshit , has already resigned from the Chief Minister’s post.Pre-elections,she was heard claiming 2013 Delhi Assembly Elections was as usual a tough fight between Congress and BJP and did not consider Arvind Kejriwal and his AAP party any threat. Even BJP gave similar but balanced statements about AAP. 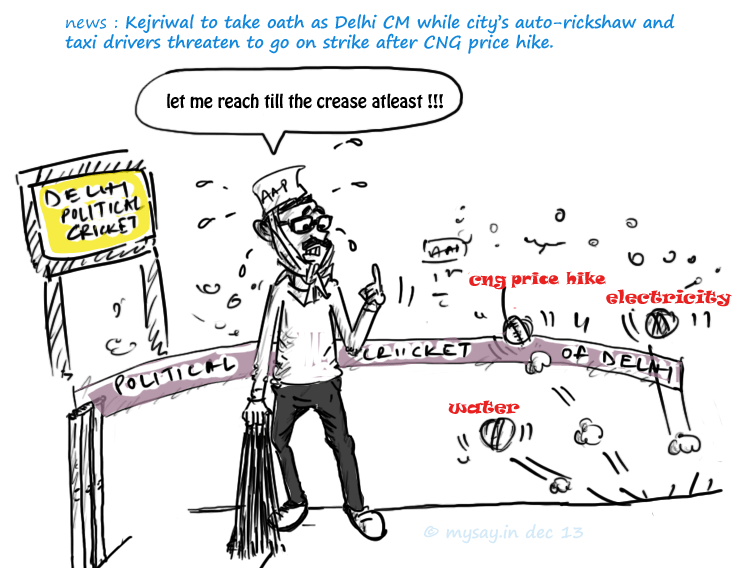 However, the acceptance of AAP in Delhi shows the impact they have been able to create. The impact of the India Against Corruption Movement started by Anna Hazare and the decision of Arvind Kejriwal to enter into politics to curb corruption has got a warm welcome from the capital of the country. 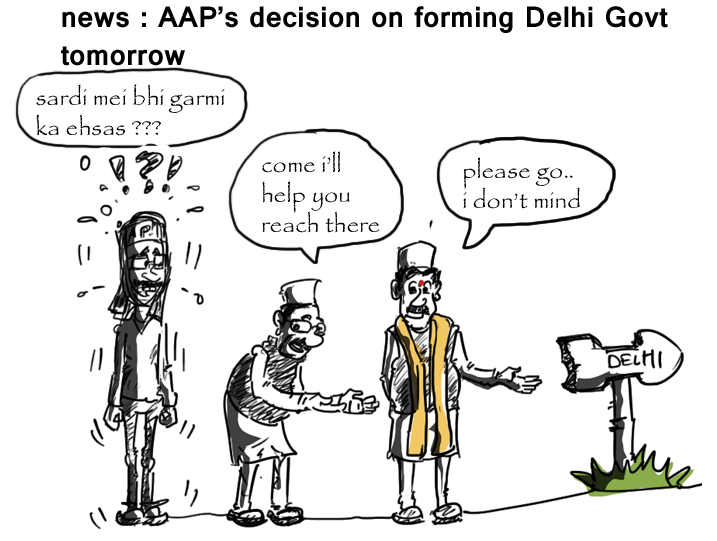 Tougher task ahead for Arvind Kejriwal of keeping the faith of his supporters intact and for good. The BJP, on the other hand , won 3 states – Rajasthan,Madhya Pradesh and Chattisgarh but the impact of NaMo wind could not stop the broom-man Arvind Kejriwal from being a spoiler for BJP.Although they got 32 seats in Delhi, they are 4 short of making a govt there. 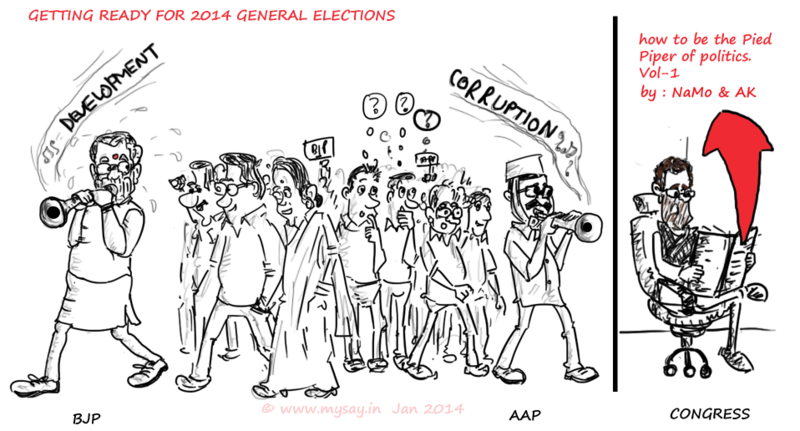 But so far,the trend for 2014 General Elections seem to be getting clearer.